Victoria Beckham was spotted out in New York City this week in some dresses from the Victoria Beckham Resort 2016 collection. On Tuesday, she wore a vivid red asymmetric number featuring oversized button fastenings. The 41-year-old English businesswoman, fashion designer, model and singer styled the maxi dress with a gorgeous pair of towering court shoes from Casadei. The previous day, Victoria sported another Resort 2016 frock, this time a LBD paired with yet another pair of black pumps from Casadei. 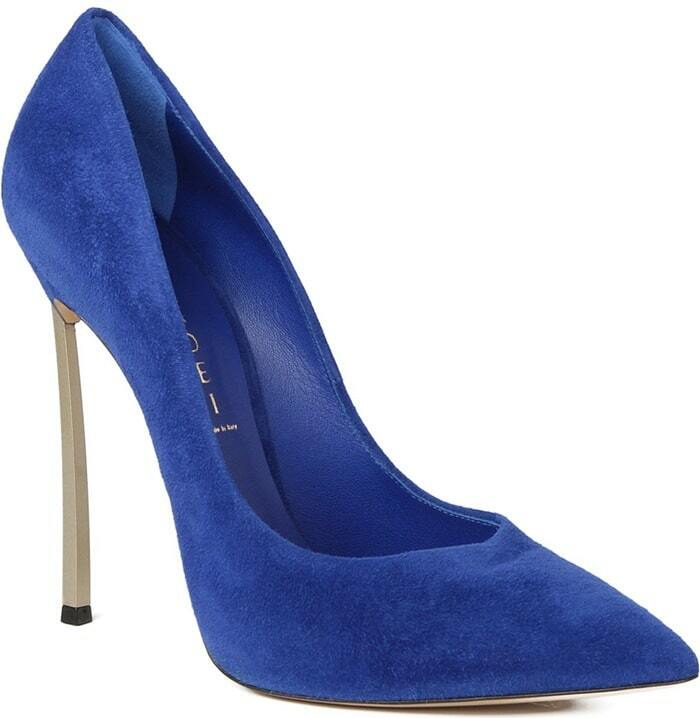 You can find her “Blade” heels in many colors at Casadei and Amazon. Which of the two outfits do you prefer? Victoria Beckham also joined Karlie Kloss, Taraji P. Henson, Katharine McPhee, Diane Kruger, Julianna Margulies, Emmy Rossum, Amanda Seyfried, Janelle Monáe, January Jones and Kim Kardashian at the 2015 CFDA Fashion Awards held at Alice Tully Hall at Lincoln Center on Monday in New York City. She almost bored us to death in another black dress from her eponymous label and accessorized with Jacob & Co jewelry and a Line Vautrin necklace.